When Gordon Brown anointed himself Prime Minister, he famously said he wanted a government of all the talents. With Hazel Blears becoming the latest Minister to desert the sinking ship, and Caroline Flint rumoured to be packing her bags, Not the Barnet Times asks: Talent? What talent? There is nobody left. Not that anybody would consider Jacqui Smith, Tom Watson or Hazel Blears talented. UPDATE: Constantly Furious has described Hazel Blears' resignation as “falling on her toothpick.” Brilliant! 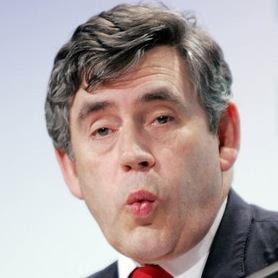 Brown will do doubt find some stunning talent hiding on his back benches just like Mike Freer managed to do last month!